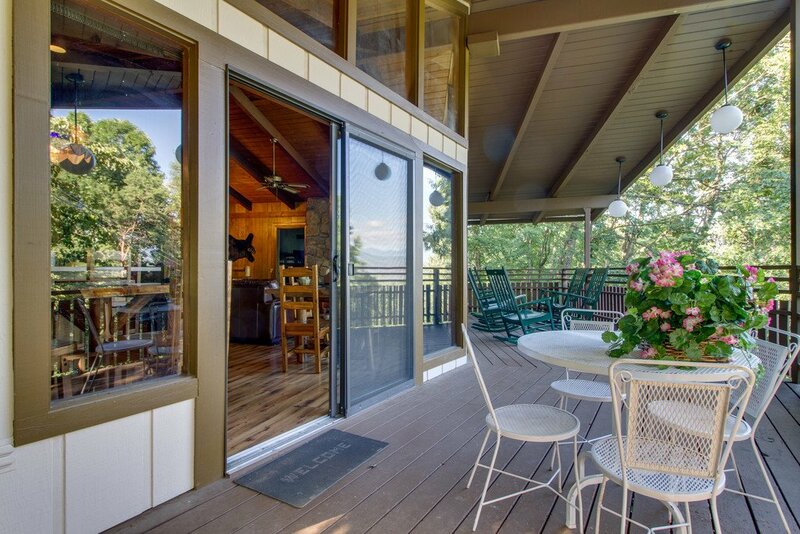 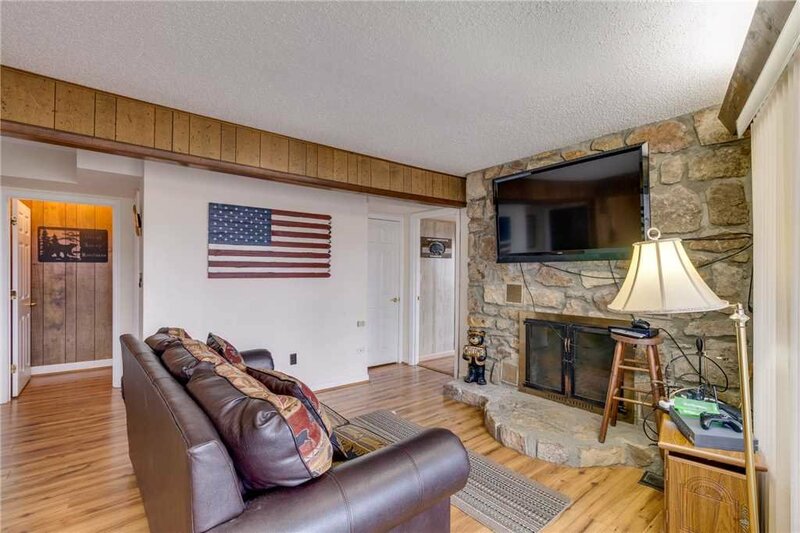 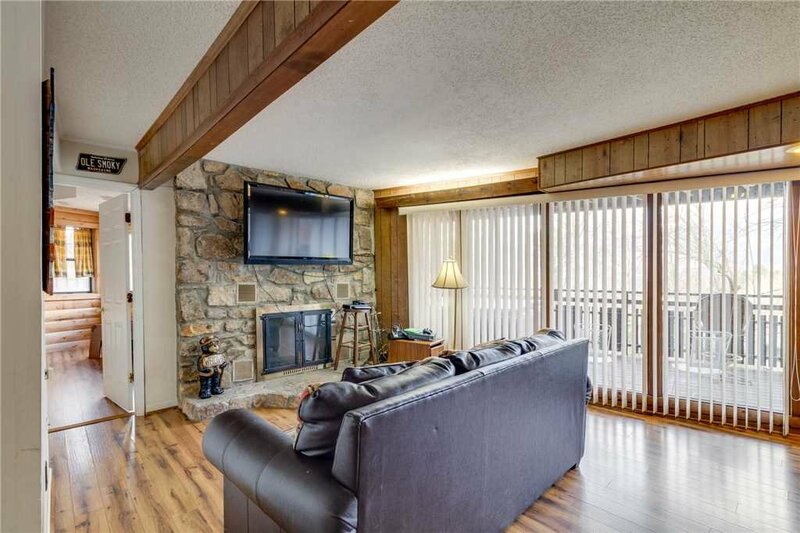 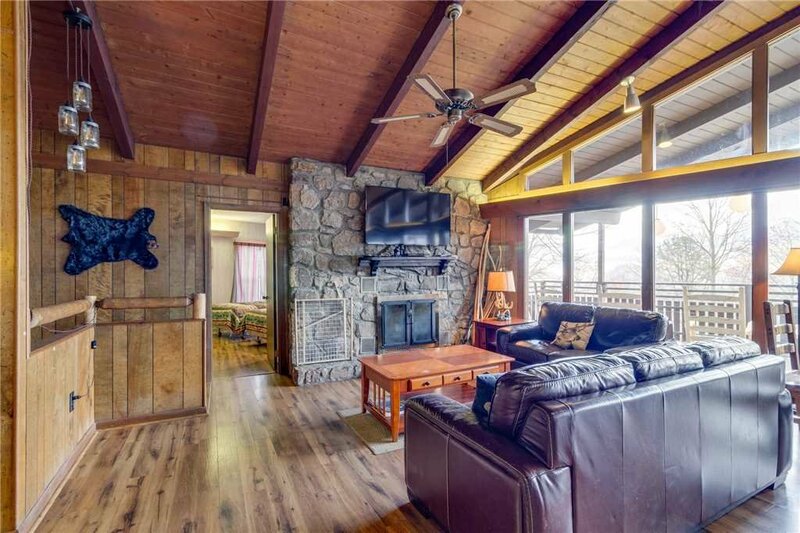 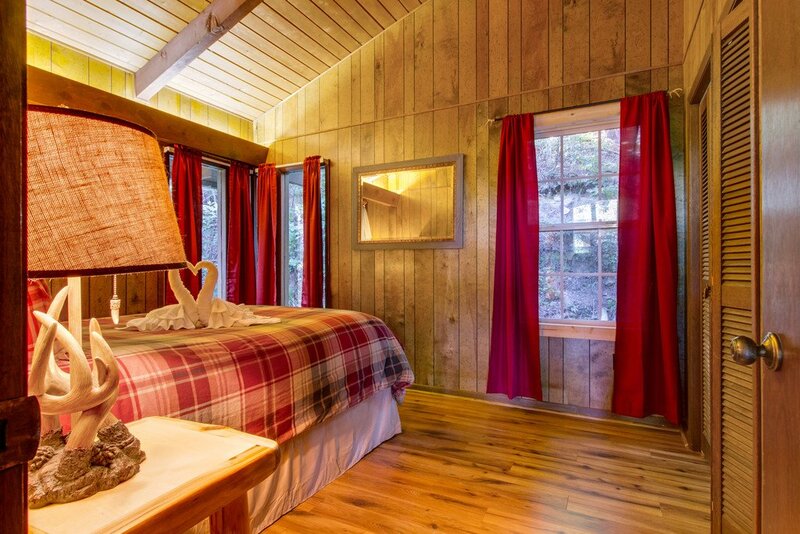 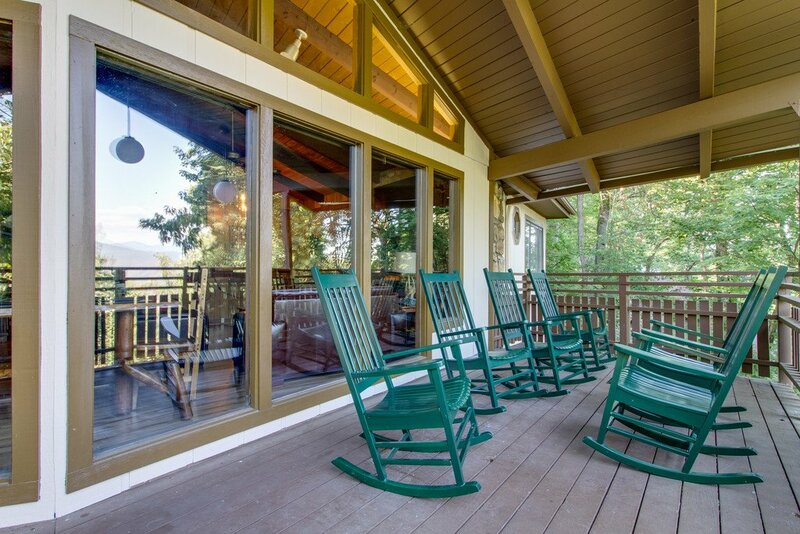 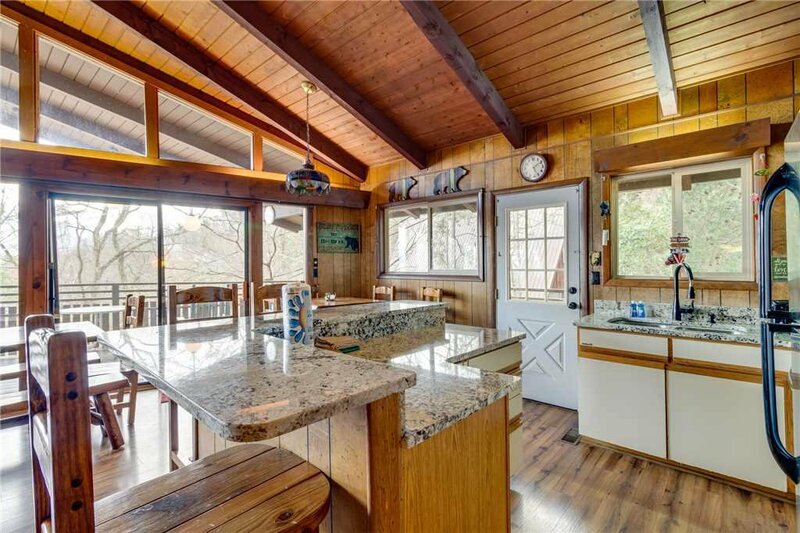 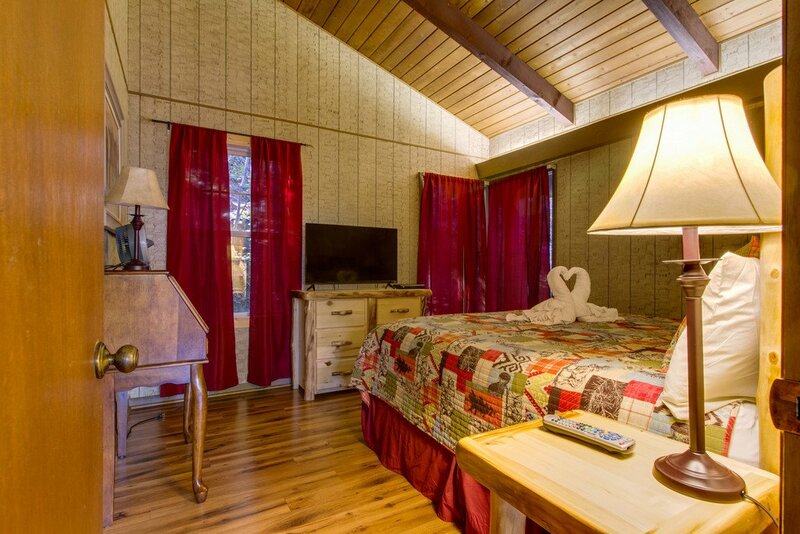 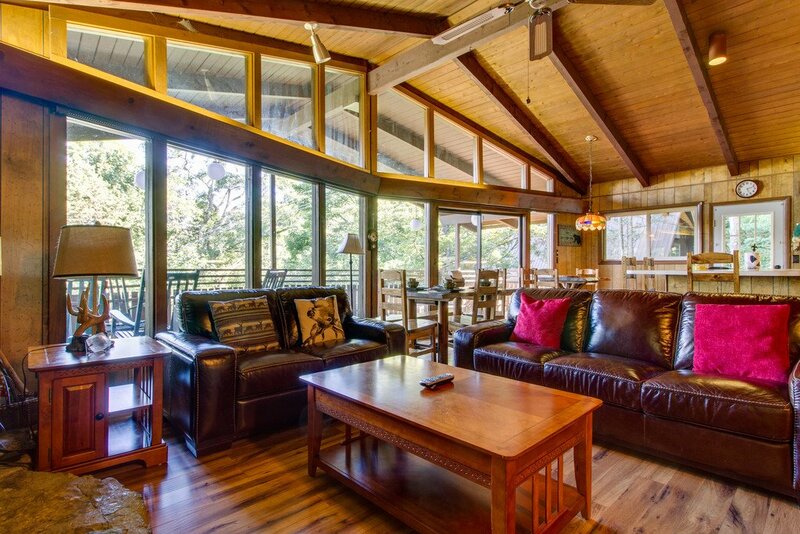 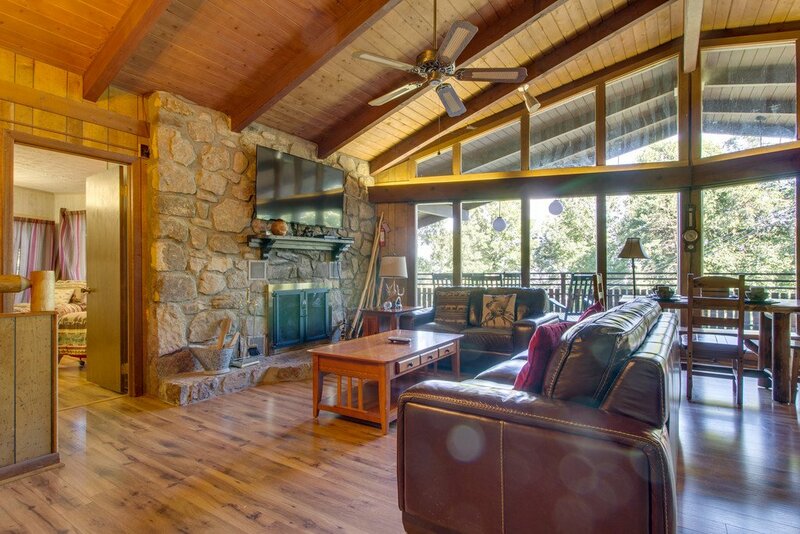 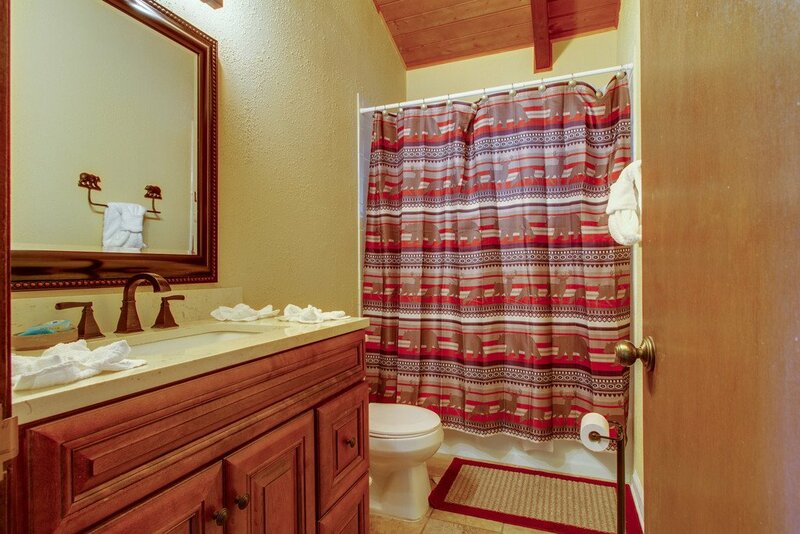 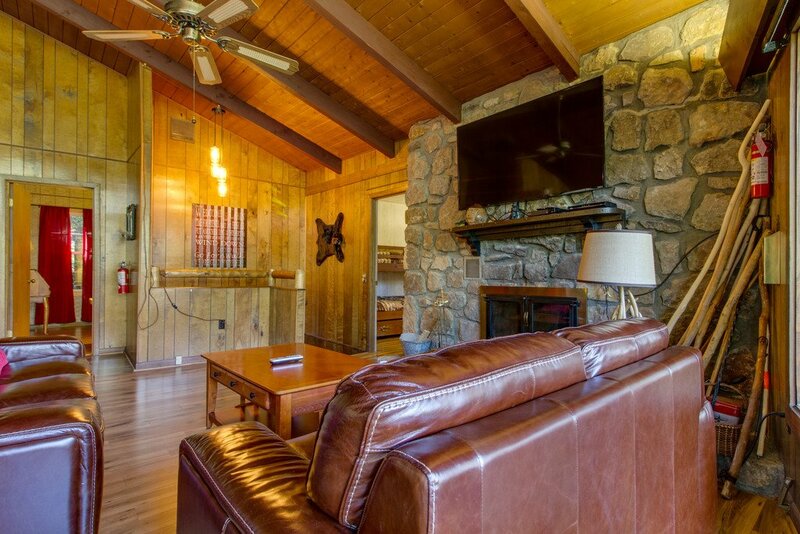 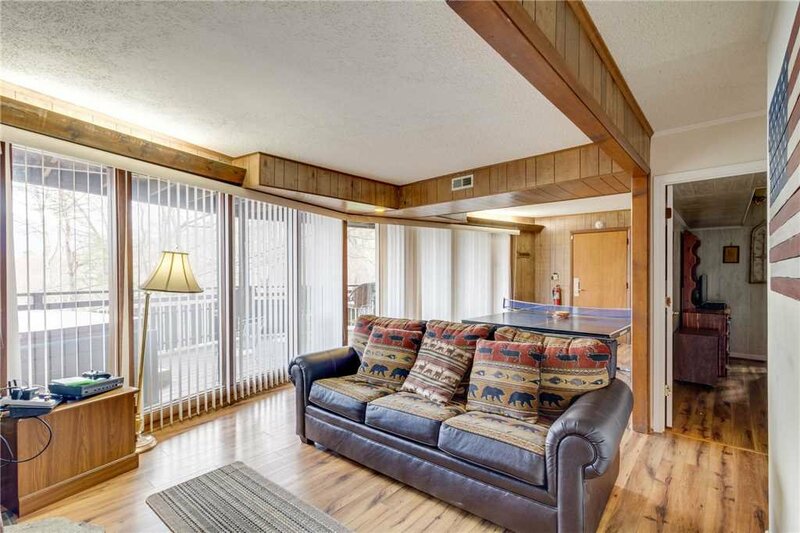 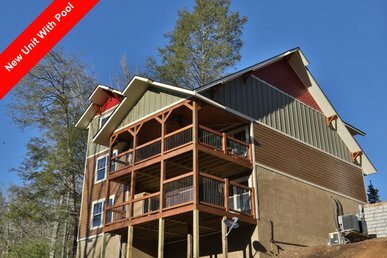 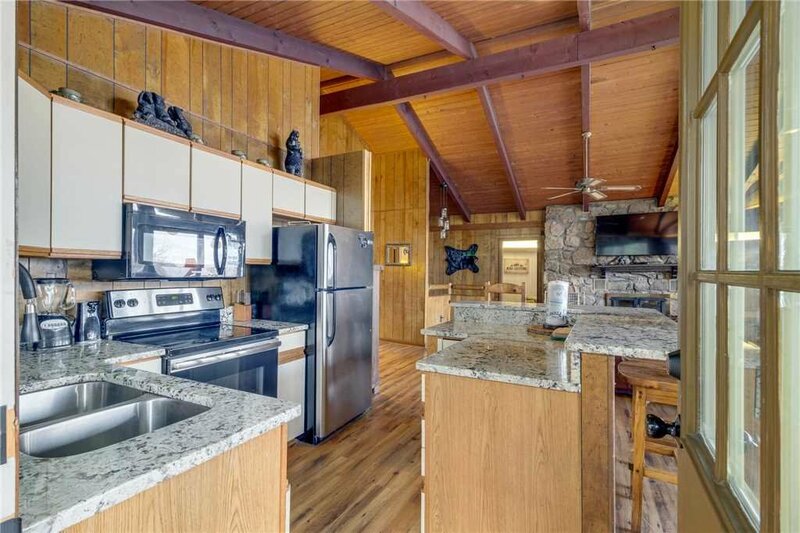 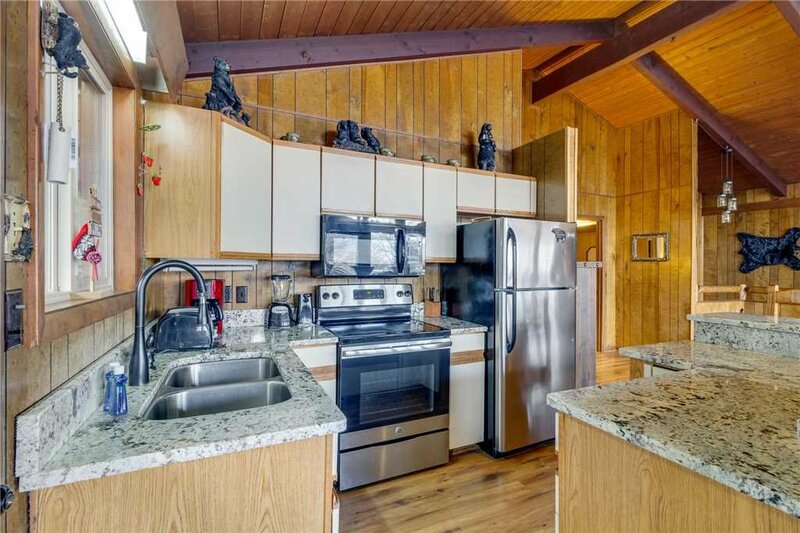 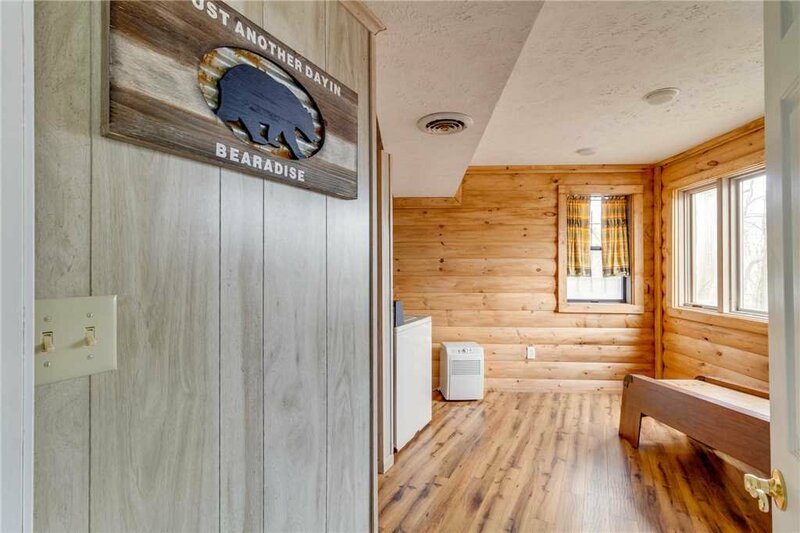 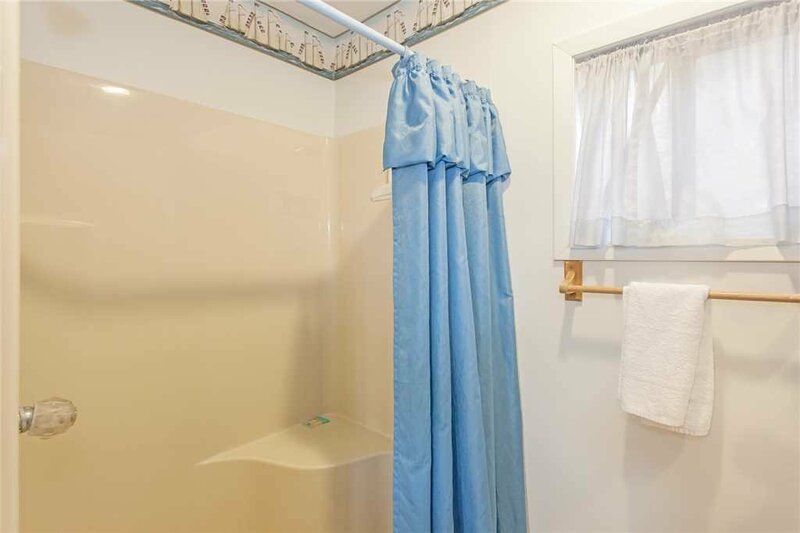 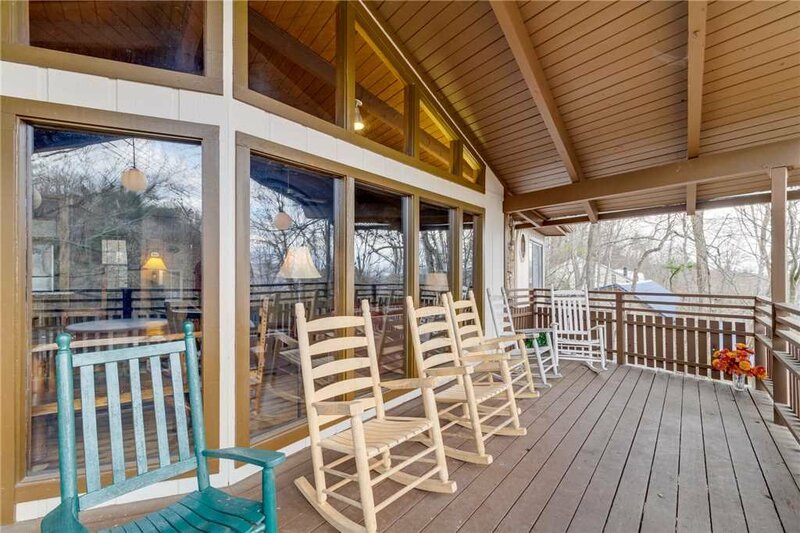 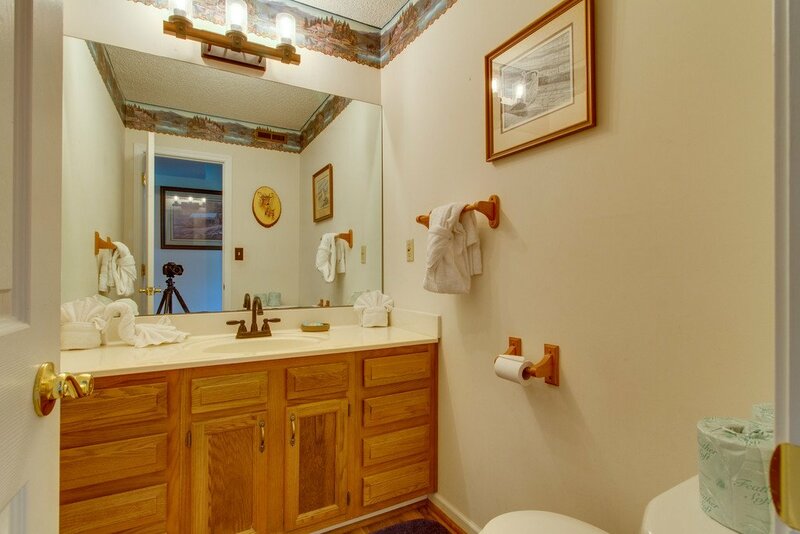 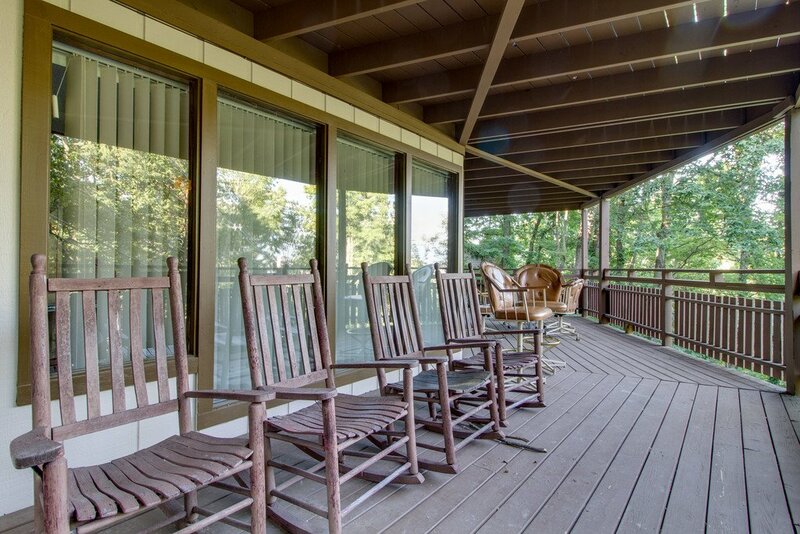 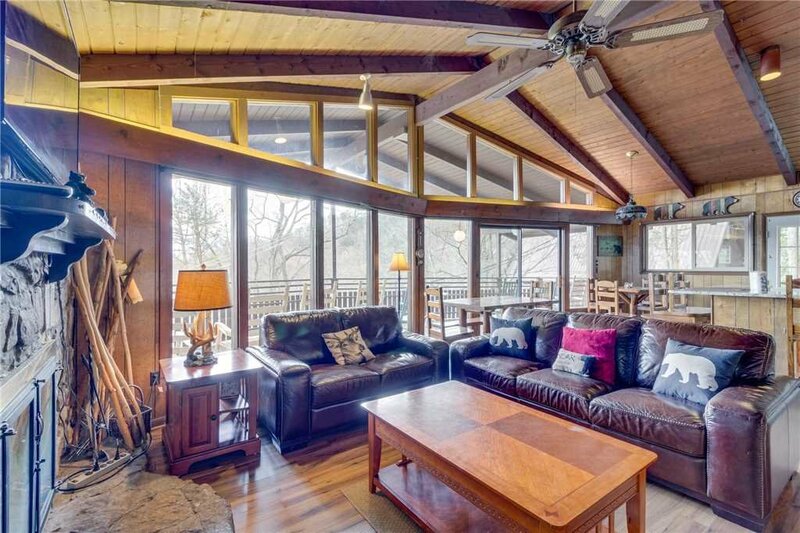 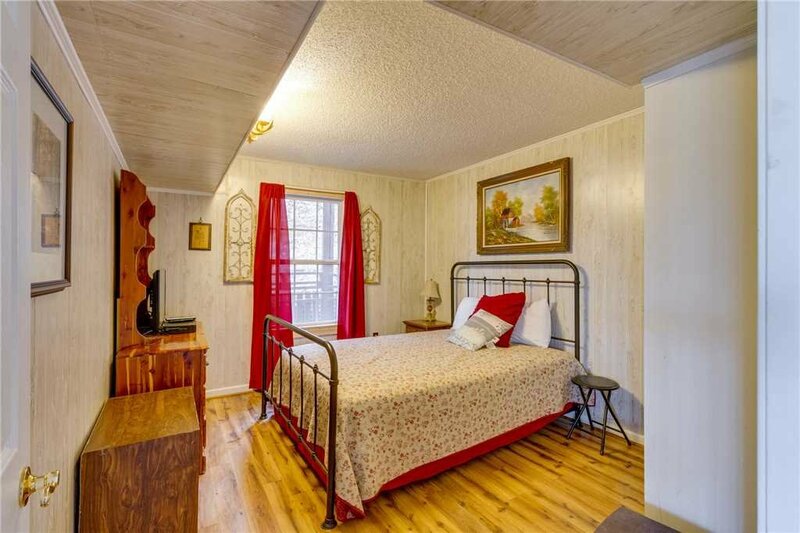 Stairway to Heaven is a 4 bedroom, 2 bath cabin located in Chalet Village in Gatlinburg. 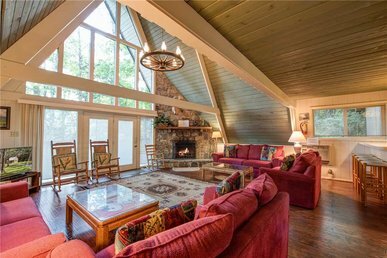 With a feeling of a great hall, the open floor plan gives guests plenty of room to enjoy. 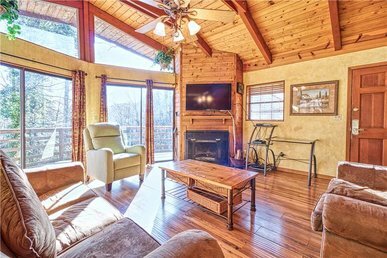 This two-story home offers an open floor plan, 2 wood burning stone fireplaces, cathedral ceilings, a huge deck on both levels of the home, and lots of large windows, plenty of room to easily sleep 11 people. 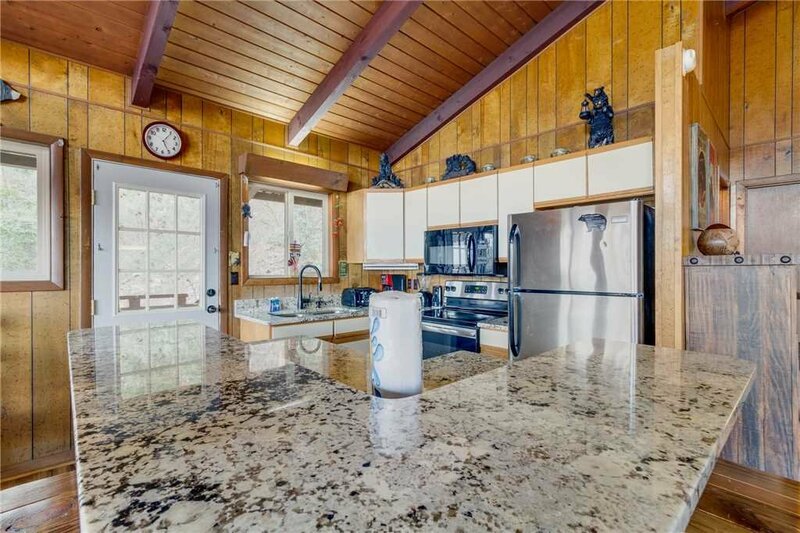 The kitchen is fully stocked to be able to prepare meals full of memories. 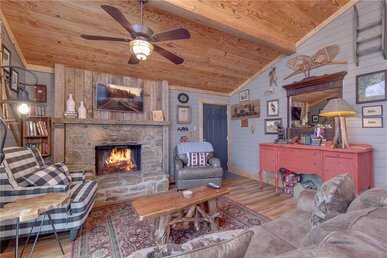 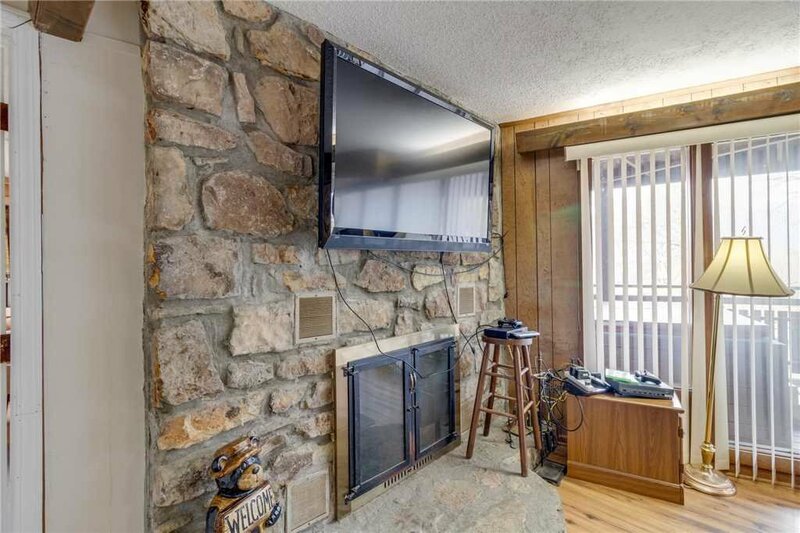 Unwind in the living room watching the large flat screen television with a fire burning warmly in the large stone wood burning fireplace. 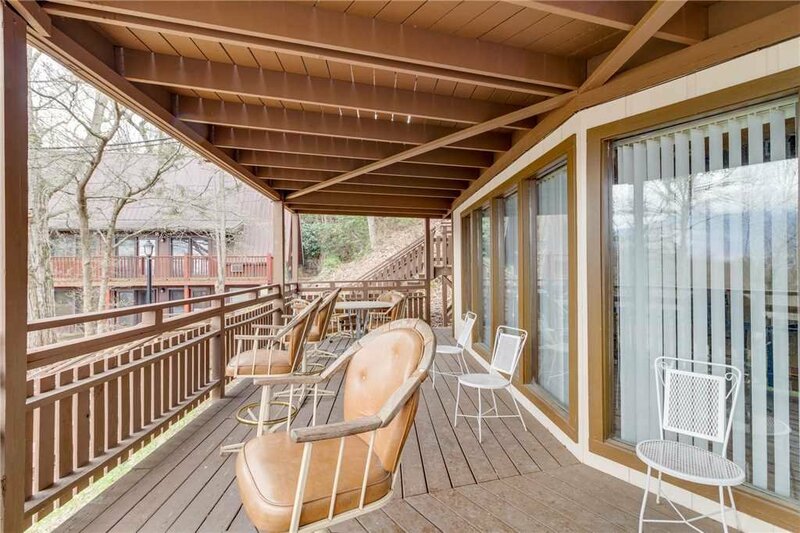 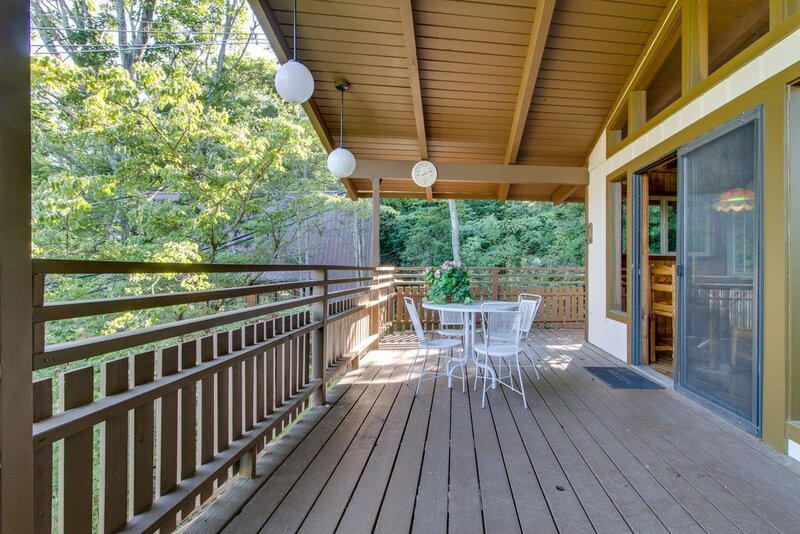 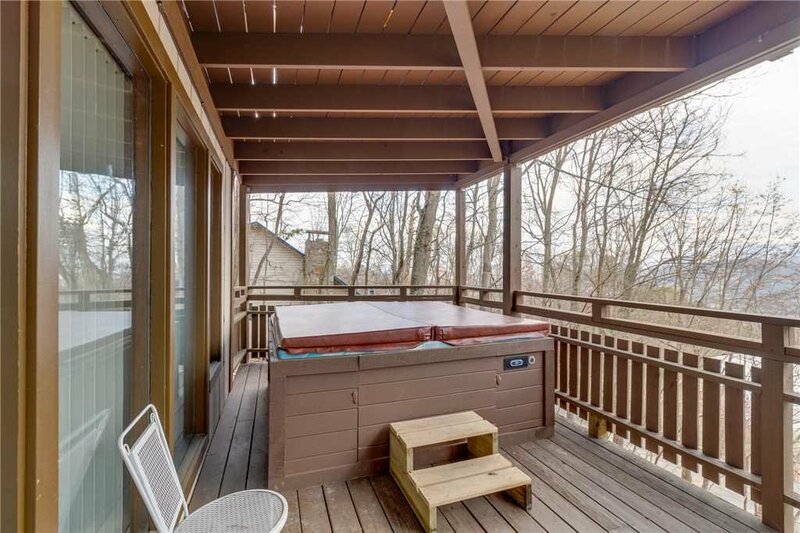 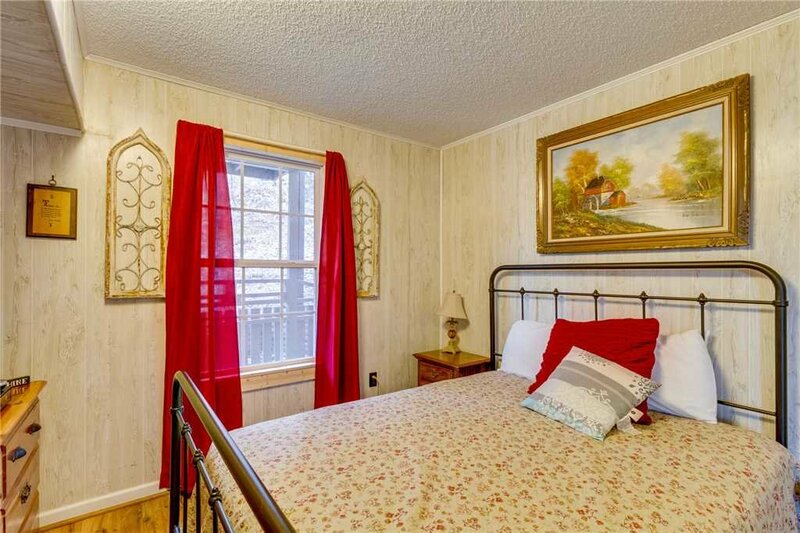 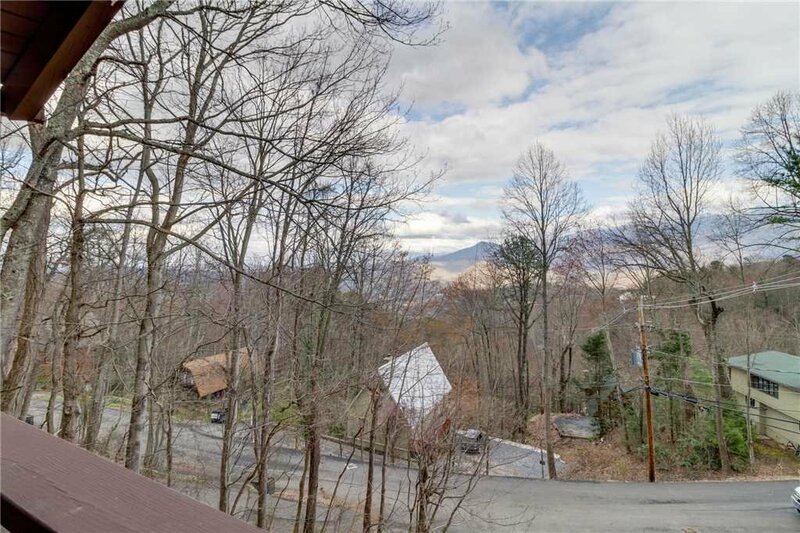 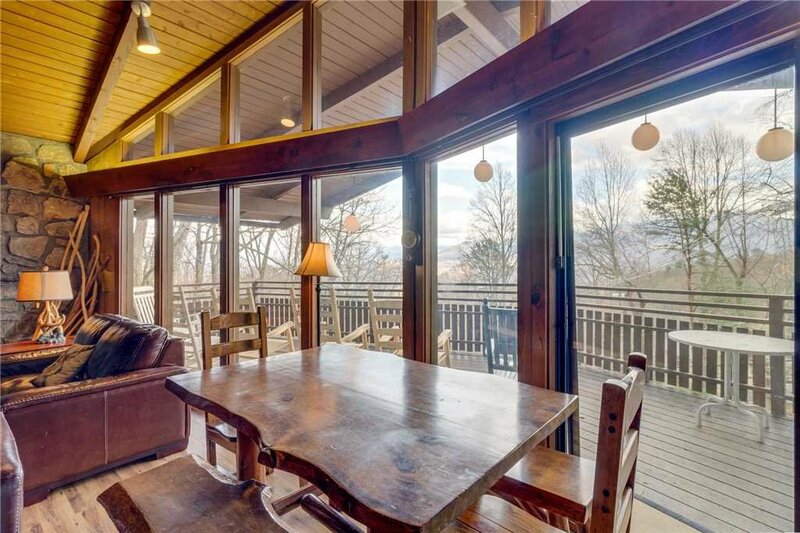 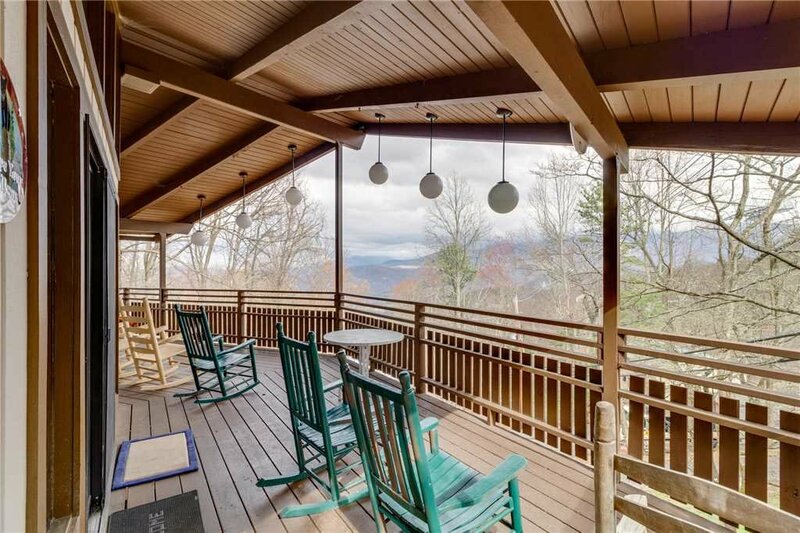 Delight in the mountainside tranquility just moments away from the Gatlinburg downtown strip and revel in the vibrant foliage and rippling streams just outside of your front door. 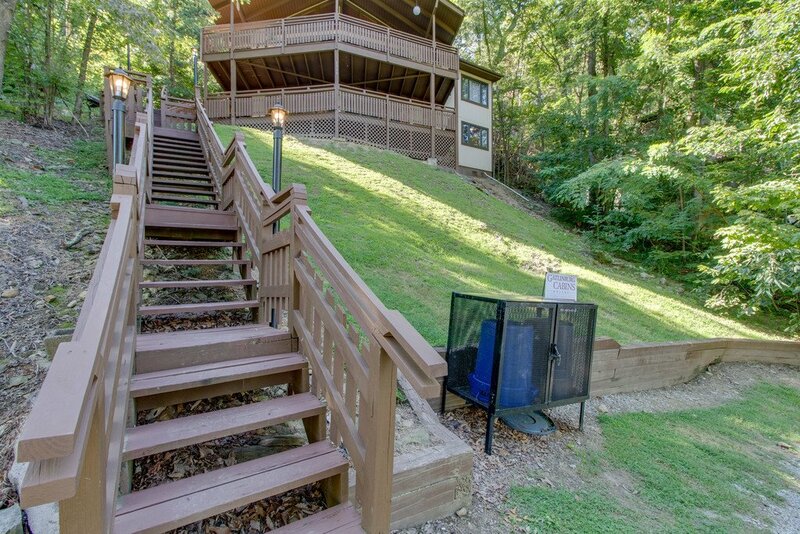 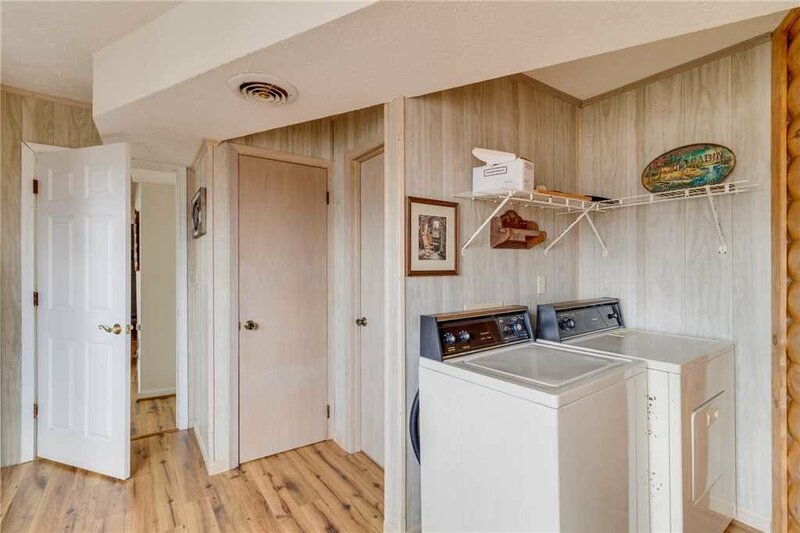 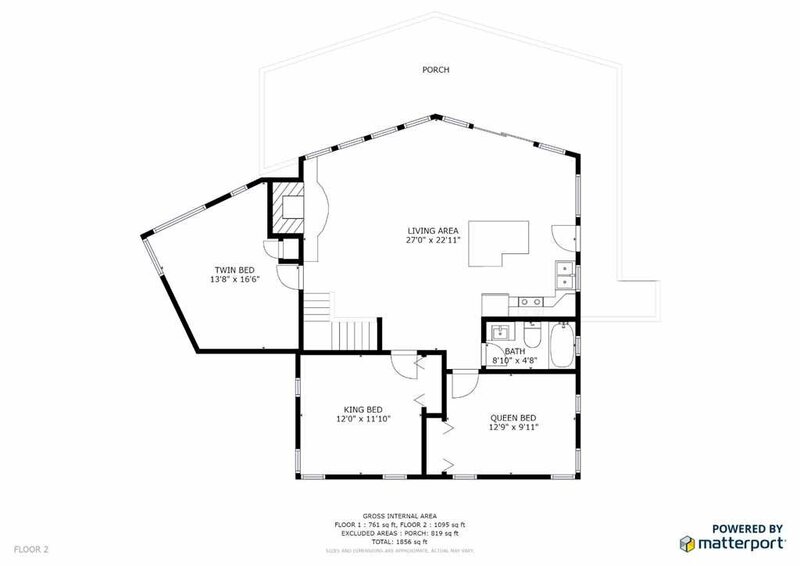 Please note: This home has more than 40 stairs leading up from the 2 parking spaces to the entry of the home. 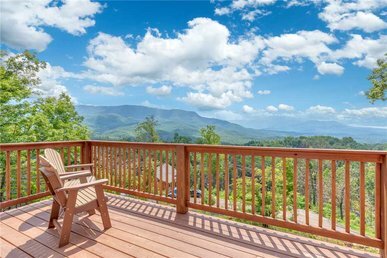 Ober Gatlinburg Ski Area and Amusement Park is less than a 5 minute drive away filled with year-round fun. 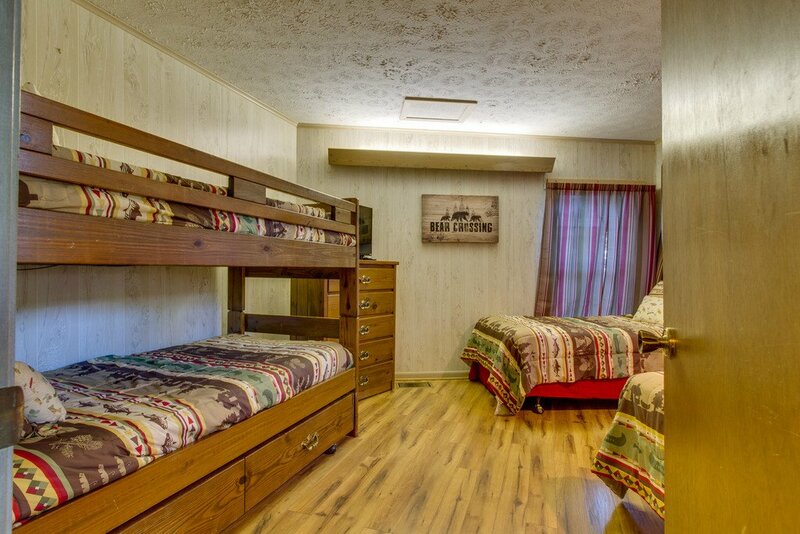 Fuel up with breakfast at one of the Flapjack’s Pancake Cabins with the Sticky Bun pancakes you could die for! 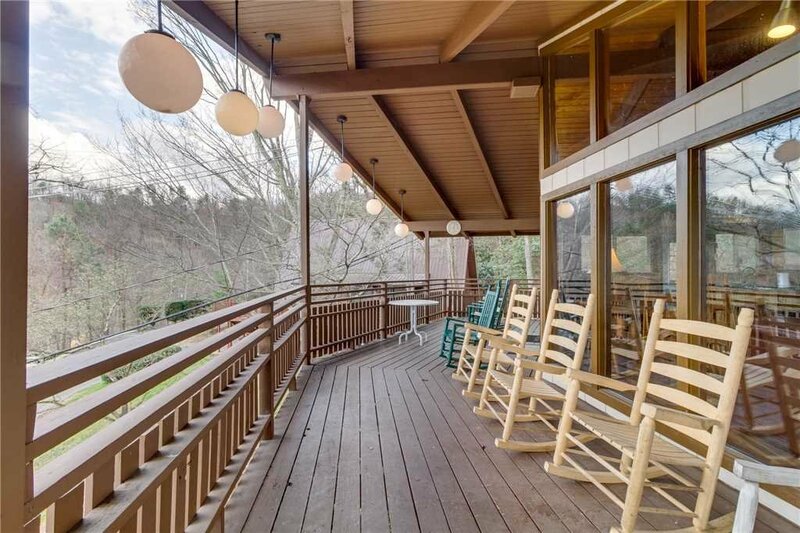 Tour the 8-mile loop of the Smoky Mountain Arts and Crafts Community featuring hand-crafted arts and crafts made with traditions handed down for generations. 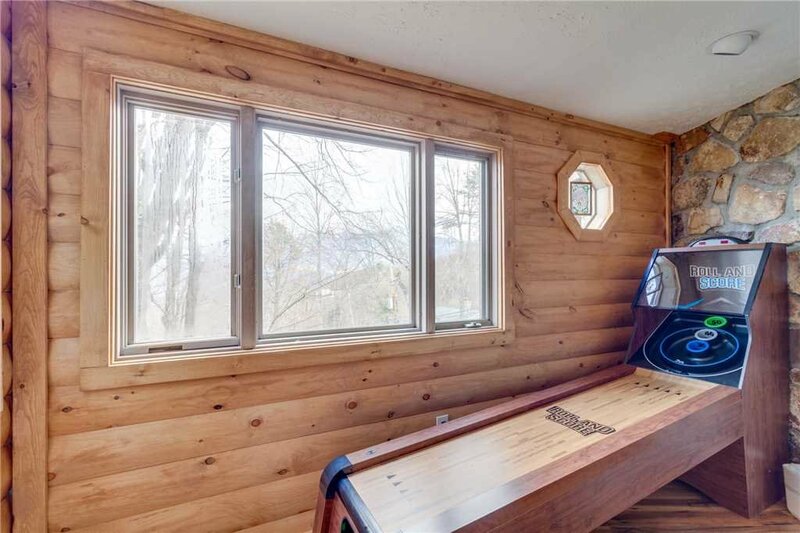 Stroll along the downtown Parkway to visit Guinness World Records, stop in for a sampling of shine at Ole Smoky Moonshine Distillery and play a game of mini-golf at Ripley’s Davy Crockett Mini Golf. 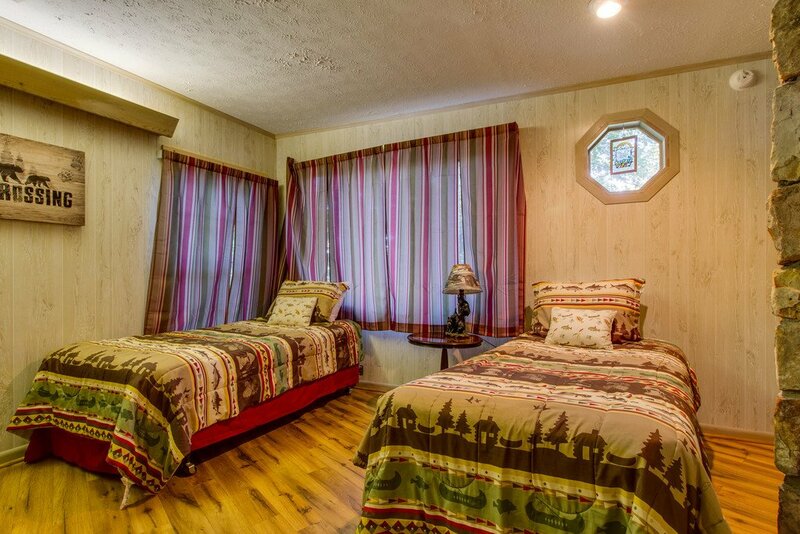 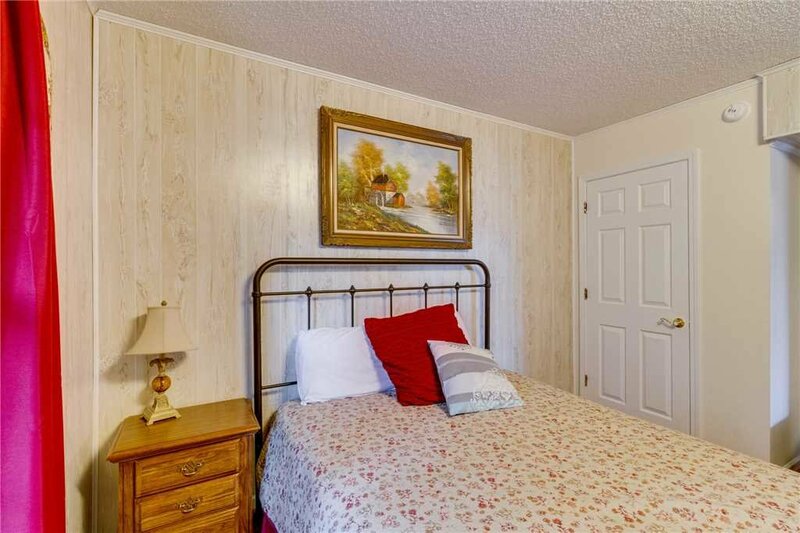 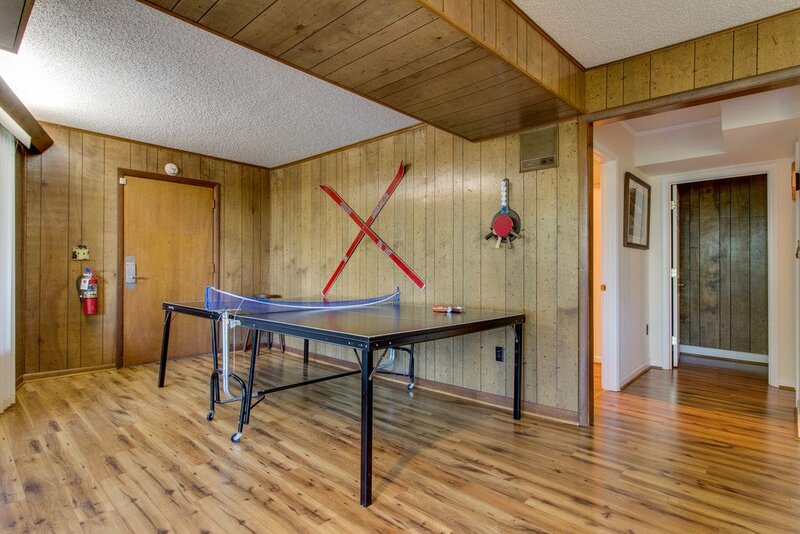 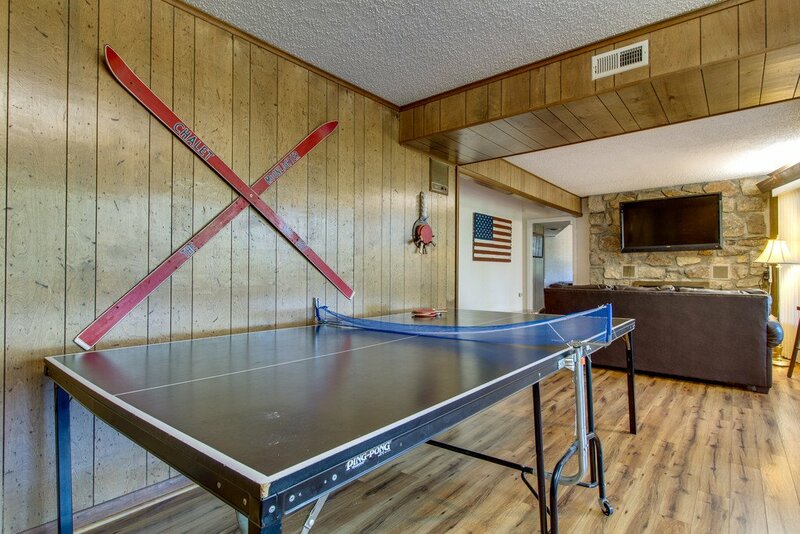 With just a short drive along the Spur to Pigeon Forge with an outstanding family friendly atmosphere. 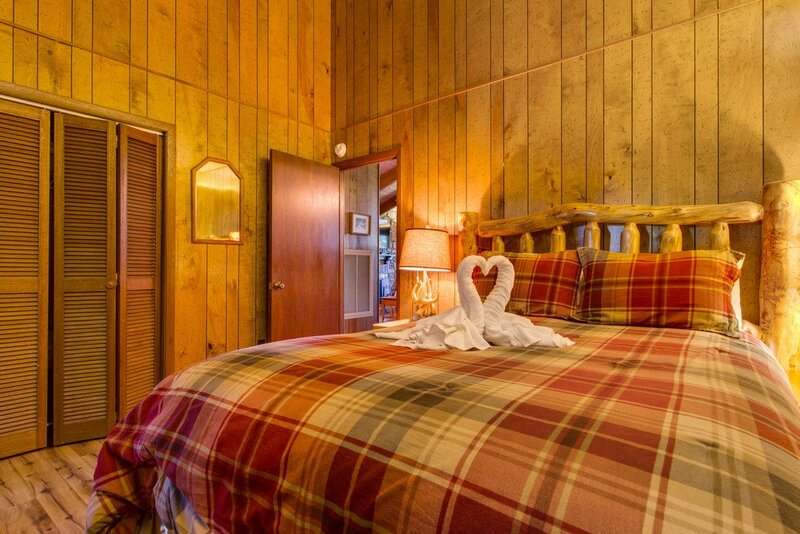 Visit Dollywood, one of America’s most loved theme parks. 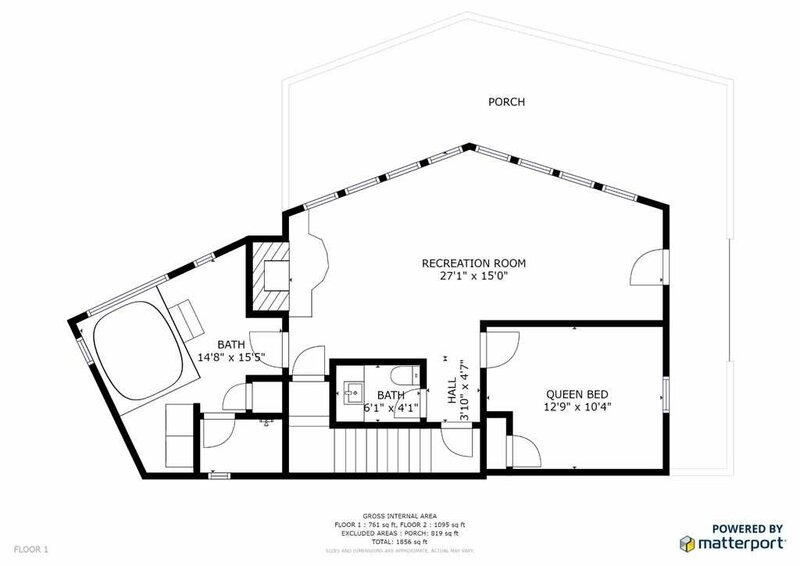 Stop off at WonderWorks, an indoor amusement park with interactive exhibits. 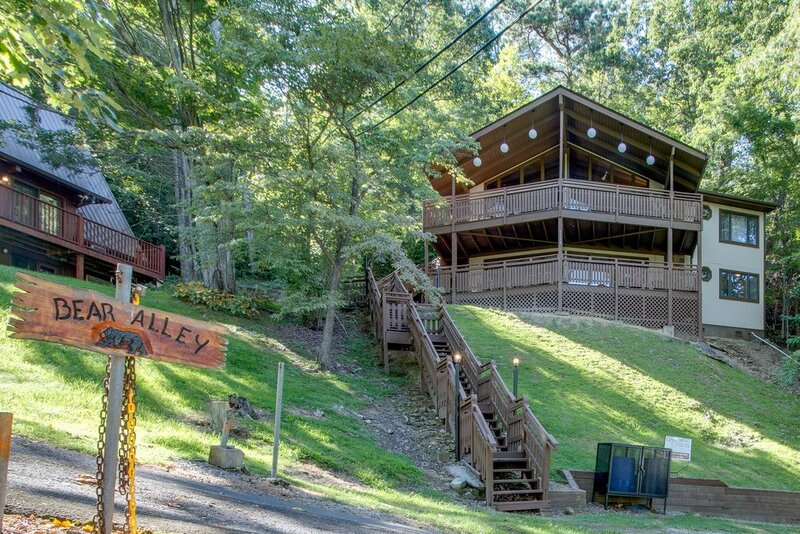 Tour the largest winery in Tennessee and sample the variety at Mountain Valley Winery. 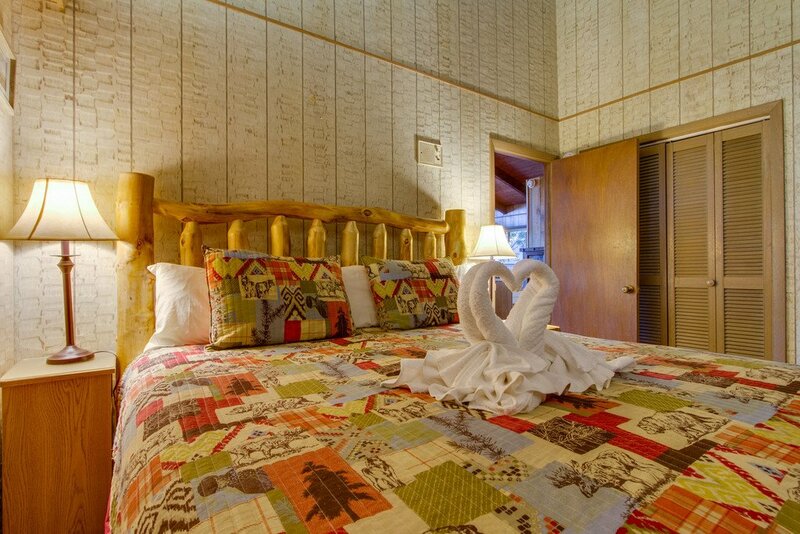 Dixie Stampede gives you a show you’ll never forget with an authentic four course Smoky Mountain meal too. 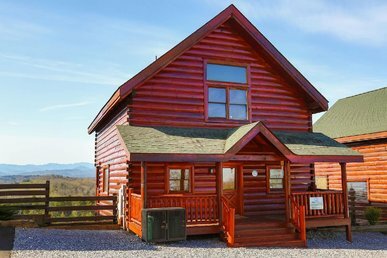 Adventure isn’t difficult to find while staying in the foothills of the Great Smoky Mountains. 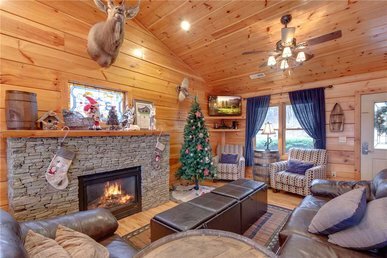 Especially at Adventure Park at Five Oaks with zip line tree canopy tours or set out on a guided horseback tour with Five Oaks Riding Stable. 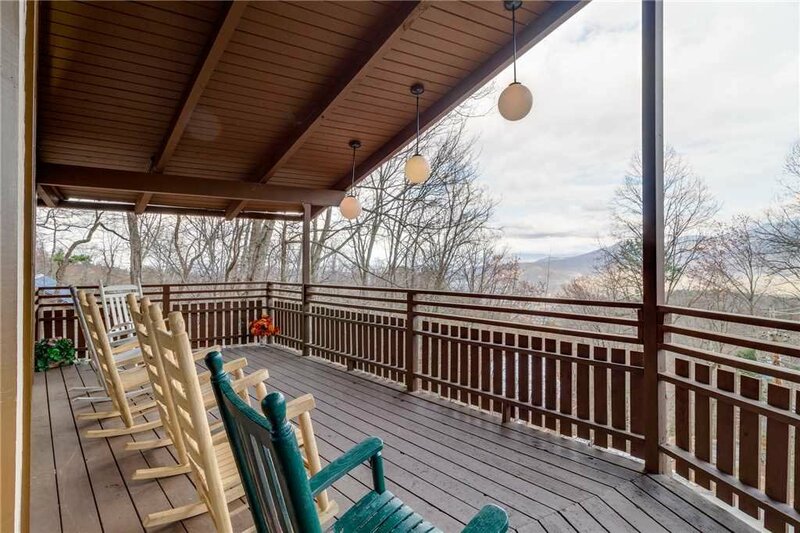 Explore on your own, auto-touring along the Roaring Fork Motor Nature Trail and set out on a hike along the Grotto Falls trail to delight in the waterfall that you can walk behind. 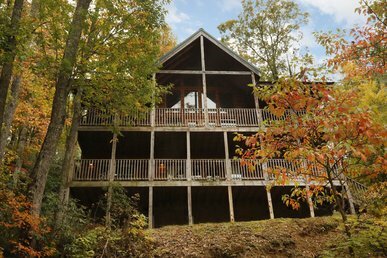 Your adventures are boundless when staying in the foothills of the Smoky Mountains.